Hosting a party? Company potluck? Down to the wire with the clock ticking to whip up a quick snack for the kids after school? All three? Get a pack of Stonefire® Naan Dippers®, tasty on their own, they’re also versatile and an amazing compliment for a variety of quick and easy appetizers. Soft, snack-sized, delicious, and yes – it’s in the name – perfect for dipping. But don’t stop there! Our Naan Dippers® aren’t just great for your guacamole, salsa, and melted cheese sauces. They’re an excellent side dish to a saucy pasta meal, an easy swap for crackers on a charcuterie board, a great base for mini-pizzas, and they open you up to a ton of other ideas. If you’re not sure where to start, take a look at some of these recipes that’ll change the way you see our Naan Dippers®! Break out all the stops on your charcuterie board with minimal effort – our Naan Dippers® are an excellent addition to your platter of cured meats and cheese. We bet you didn’t think you could substitute chips with Naan Dippers® to make Naanchos! 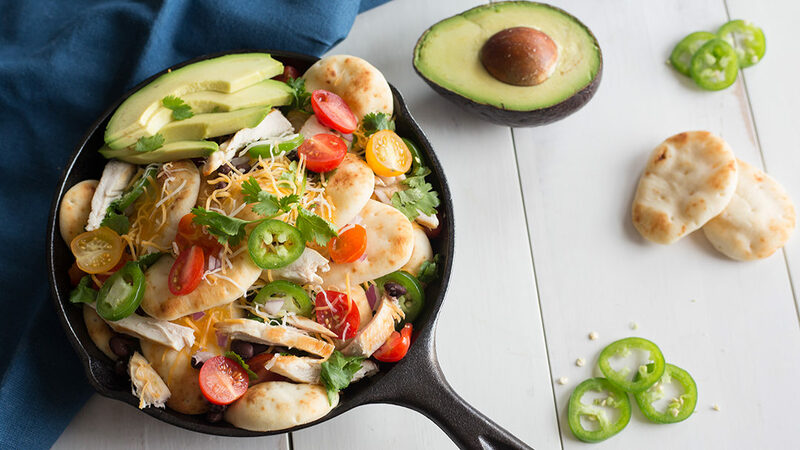 Pile on the classic ingredients you know and love in your nachos in one pan, and toss it in the oven for a quick, easy and epic game time snack! Bite-sized pizzas? Yes, please. Get the kids involved with this recipe, as Naan Dippers® are yummy canvases for mini-pizza making. Pizza sauce, cheese and pepperoni slices – just put them in the oven and you’ve got snacks to go around for kids, games or hosting! With this recipe, the talk of the party will be how delectable your appetizers were. Sweet and tangy, this quick recipe can be made in under 15 minutes – perfect for easy entertaining!